In a few days time, on Saturday 21 May, the 2011 Glyndebourne season gets under way with an historic first: the biggest production it has ever mounted, Wagner's very own festival opera Die Meistersinger von Nürnberg. 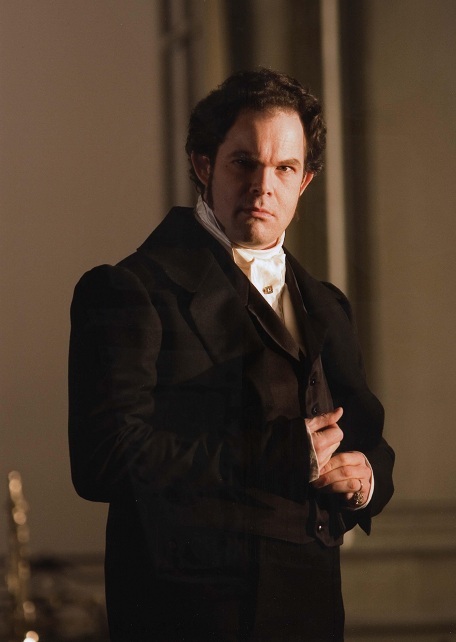 And leading the cast, in his own first Wagnerian role in costume onstage, is Canadian bass baritone Gerald Finley. With orchestral rehearsals in full swing, and with the enormity of the undertaking becoming daily more apparent, we caught up with Finley during a break in his crowded day on the Sussex Downs. If he was feeling the pressure, he certainly did not show it: relaxed, articulate, he talked enthusiastically about the role of Hans Sachs, the challenges in singing the character, the Glyndebourne production and his very special affinity with the opera house that will be his spiritual home for the next couple of months. I started by asking about Finley's approach to tackling a major Wagnerian role for the very first time. What were the difficulties and how was he going about them? "The thing I am learning from this incredible immersion in the score, and the role of Hans Sachs, is that Wagner actually makes you sing to the best of your ability. I have in fact sung Wolfram [in Tannhäuser] before but only in the recording studio. So this is my first theatrical assumption of a major Wagnerian role – in at the deep end, as you might say. But when the part was offered to me, I accepted to do it at Glyndebourne, mainly because I knew that the long rehearsal period would allow me to get to know every aspect of the opera and the chance to do myself justice in the role. And it is so rewarding – it is a very human story, worth looking at time and time again, full of incredible musical detail to which you have to pay scrupulous attention. I am finding it a wonderful experience". Without giving too much away, what sort of production has David McVicar come up with? Any similarities with the deconstructionists like Katharina Wagner? "No, not at all! What I can tell you is that it is not set in its original period (the mid sixteenth century) but it is set in a time of social change and the look of the piece is Romantic, which is great for the costumes. McVicar has approached his Meistersinger from the score, and from what it says about the people in the opera and their relationships with each other. These after all are real relationships: they say things about the characters onstage and they say things about people and society today. The production is not out to surprise, nor to offend, nor to provoke. It is full of what I would call nice humanist touches. I find it intelligent and engaging". Finley is 51, in his vocal prime, and appears youthful and dashing onstage – he will come across as a much younger, lighter, more spirited and engaged Hans Sachs than many a rueful old cobbler that I have seen in past productions elsewhere. How does he see Hans Sachs and his relationship particularly with Eva? "Hmm, I think Sachs has reached a stage in his life with many possibilities. I'm not actually sure what his real feelings are for Eva. Sachs has not been widowed that long and his loss is still painful to him. I certainly do not see him as old and Wagner's portrayal of him is definitely not ageist. So I suppose my Sachs has reached a point in his life where he has to think carefully about everything – his personal objectives, his place in the community, his feelings of honour for what has gone before and his realisation that worthwhile change is in the air. It's all in the score, and the sort of attention to musical detail that Glyndebourne allows you to explore helps all of us to approach our respective roles". I suggest that Finley is being a shade equivocal here. He laughs. "All right, the relationship between my Sachs and Eva is one of real tenderness, and I will admit that my Sachs wrestles with his feelings". I can hear the musical passages in question already! What about the sheer challenge to the singer of sound projection over Wagner's orchestra? "It's glorious, working on this particular score with a Rolls Royce orchestra like the LPO under Vladimir". (Vladimir Jurowski, Glyndebourne's musical director, is at the helm of this Meistersinger for all but one of the performances). "But remember, the orchestra came to this not that familiar with most of the score and it is a real collaborative process, getting all those intimate moments – and there are many of them – sorted out, with just the right dynamic and balance. One of the principal players was enlisting my sympathy this morning, telling me how tiring it was for him to have to play his energetic solo line as quietly as Vladimir wants it". Jurowski is of course well known for his scrupulous attention to orchestral detail, and to the sounds made by particular instruments that he sometimes adds to his orchestra's palette: has he taken a fresh look at the Meistersinger score? Finley is frank but a shade elliptical in his reply: "I think it would be true to say that Wagner was less accomplished an orchestrator for Meistersinger (1868) than he later became". I shall listen out for orchestral subtleties under Jurowski with even keener interest! What about the physical and vocal challenges of a role like Hans Sachs – the sheer size of the sing? Finley is completely unflappable in his reply. "The experience I am having is like going to a vocal spa. I am working at the role, like I always do, from the inside of the music. I am finding that my voice gets energised by the longer vocal phrases and the role is not all stentorian declamation, it has these passages almost of chamber music singing". I can think of some of these, but what about 'Wahn, Wahn, überall Wahn' which is only the prelude to the great Hans Sachs passages of singing in the final act? "But that is where Wagner is so helpful: Wahn, Wahn comes right at the start of the Third Act, so I have had this long rest beforehand – this is real consideration for the singer!" Finley has a twinkle here, so a touch of irony may be intended, but there seems to be no doubt that he is relishing his exposure to the role. Will it lead to more Wagner onstage? "Yes, having embarked on the Wagnerian canon, I'm not going to resist. I have Wolfram in my future schedule, and Amfortas [Parsifal, at the Salzburg Easter Festival under Sir Simon Rattle next year]". Has Finley thought about the effect of singing Wagner on his voice in the repertoire that has been his so far, notably Mozart and Verdi? "I think it will be entirely positive. Immediately after Hans Sachs I am singing Don Giovanni in Munich and then in Salzburg, and I think that the generosity of breathing and phrasing that goes with Hans Sachs will not be a hindrance in Mozart. I shall hope to leave Glyndebourne in absolute peak vocal condition. What is more, I think that the Wagner experience will add colour to my voice – for roles like Iago for example. Hans Sachs is releasing new things in my singing, particularly in terms of bass extension. So the role may be an entirely positive mid-career moment for me". Finley's starring role at Glyndebourne last year was in Don Giovanni, a production that not everyone liked (I was lukewarm myself, finding it heavy and ponderous and out of sympathy with the irresistible onward surge of Mozart's music) but which virtually everyone appreciated for his fabulous singing of the title role. And since then he has added to the impressive canon of new roles he has created in the opera house, with his Howard K. Stern in Anna Nicole at Covent Garden. But I want to ask Finley about Lieder singing, particularly if his post-Sachs voice is going to become a little bit more dramatic bass than lyric baritone. Does he feel more at home on the concert platform or in costume on the opera stage? "The short answer is both: I think the two art forms inform each other. And if you think of Meistersinger, it is rather nice that we have a piece on the opera stage that is all about the singing of songs – how they are sung, what rules govern them, what balance is struck between the formal and the emotional. Lieder singing, after all, is all about sensitivity to text – which is exactly what we have in this production of Meistersinger". Finley and his regular recital partner Julius Drake explore this theme, the singer and the song, in their latest CD for Hyperion, called 'The Ballad Singer'. "It is a loose survey, through seven German and six English composers, of how the ballad song came about and developed over time. I loved making it, Julius being an inspirational and a humbling creative musical partner – I'm glad to call myself a collaborator of his". I cannot resist putting the 'Desert Island Discs' question to Finley at this point: if you could only give one more Lieder recital in your life, what would it be? The answer is unhesitating, quick as a flash. "Die Winterreise". Ah yes, that says it all. But meanwhile there will be much to say, and sing, on the Glyndebourne stage between 21 May and 26 June. 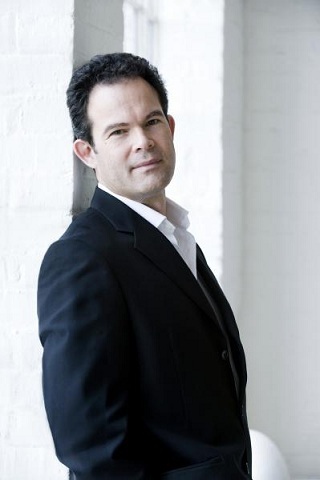 And Gerald Finley, Glyndebourne's first ever Hans Sachs, will be at the heart of it all, spotting the newfangled beauty in the unconventional song introduced by Walther von Stolzing and steering his fellow Mastersingers and the community of Nürnberg towards acceptance of change without dishonour to their older traditions. Finley's demeanour tells me that the role is going well for him. The other clues I pick up suggest that it will be an intelligent, affectionate and above all festive production, as befits our greatest summer opera Festival. I remind Finley as we wind up our conversation that snatches of Hans Sachs were heard once before in Glyndebourne's history: on 3 June 1928, to piano and organ accompaniment in the Organ Room of the house, a group of John Christie's friends gave Act Three Scene One to a small private group of friends. Mr and Mrs Thornely Gibson sang Hans Sachs and Eva respectively, and Beckmesser was John Christie himself. I also remind Finley that this will be the second time he is making recent Glyndebourne history – for the present, rebuilt theatre opened in 1994 with Le nozze di Figaro and the first word sung in the current era was Finley's own 'Cinque', as Figaro measures the space for his marital bed. Seventeen years later, as he moves from Figaro to Hans Sachs, I feel the same frisson of excitement as I felt when the new house came alive. Die Meistersinger are coming!